In 1885 Gatlinburg, Tennessee, Jessica O’Malley discovers “a bruised and battered man,” “his celestial blue eyes” anguished and confused. She half-carries him to the cabin she shares with her mother, Alice. Jessica and Alice care for his wounds, but there is no healing for his mind. What- or whom-ever brought him to this state rendered such a blow to his head that man they call Grant Parker (from a dedicated Bible they found in his pack) cannot remember who he is, where he came from, what he did, or why he was left for dead on their homestead. Karen Kirst’s Reclaiming His Past contains elements that are some of Miss Bates’s favourites: a temperamental heroine, mysterious hero, an idyllic setting, and AMNESIA narrative! Kirst made wonderful use of the trope, so dear to soap-lovers everywhere, to say something about coming to terms with oneself and one’s past. She created a clever contrasting counterpoint between hero and heroine: Grant can’t reclaim his past because it’s a blank; Jessica, in turn, is haunted by hers. Grant and Jessica work together to find answers and lay ghosts to rest to forge a new, beautiful, and hopeful future. Grant struggles to figure out his identity and purpose, while Jessica struggles to put away her cynicism and suspicion. What they share, even when their exchanges are antagonistic, or problematic, is a prayerful stance towards God: whatever their trials, they call on Him for help and understanding. Candace Calvert’s contemporary inspirational medical romance Step By Step is second in her Crisis Team series. 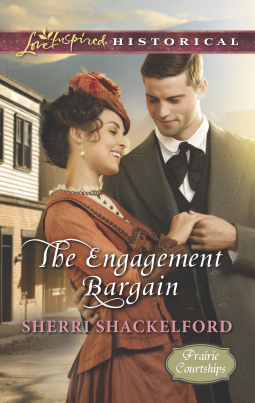 It is Miss Bates’s first Calvert romance novel and won’t be her last. Whatever liking Miss Bates holds for this title, she acknowledges that the problem with inspirational fiction is its appeal to a niche market. This is problematic when Miss Bates finds an author who merits a wider audience. The dilemma remains, however, because inspie romance, even when it’s as well-written and psychologically nuanced as Calvert’s, contains elements that alienate the general reader. Calvert’s Step By Step is a second-chance-at-love romance for two widowed protagonists. The wounds are deeper and grieving still fresh for nurse Taylor Cabot: ” … the rings had finally come off, after migrating from her left to her right hand in a painfully slow march through grief – like a turtle navigating broken glass.” Step By Step opens with Taylor and her cousin Aimee watching the San Diego Kidz Kite Festival. A private plane crashes, wreaking havoc and death on festival goers. This disaster scene is one of the “crises” that ER health care workers contend with and are heart-stoppingly described in Calvert’s novel. Taylor rushes to help, abandoning her conversation with Aimee about returning to life and love after grieving her beloved Greg for three years. The transfer of patients to San Diego Hope’s ER reunites Taylor with Seth Donovan, crisis chaplain with California Crisis Care and the man who offered Taylor friendship and compassion when she lost her husband. This month’s TBR theme was “Recommended Read.” Miss Bates chose to read a novel recommended by one of her rom-reading alter egos, Insta-Love Book Reviews. Insta-Love may not know this, but she’s never recced a rom Miss Bates hasn’t liked. (And Miss Bates isn’t easy to please.) Frankly, MissB’s an Insta-Love Reviews fan-girl and, yes, in her unstately ebullient spinster-fashion, squees when the occasional – sniff – review is posted. Miss Bates and Insta-Love share a love of, and acknowledgement of its problematic nature, inspie rom. Miss Bates read Jody Hedlund’s Colonial-America-set romance novel, Rebellious Heart (loosely based on John and Abigail Adams’s courtship). In 1763 Braintree, Massachusetts, defense lawyer Benjamin Ross saves accused murderer Hermit Joe Crab from the noose – to watch him lose his ears and be branded with an “M”. Hedlund’s Rebellious Heart is honest about the harsher aspects of 18th century Colonial America: slavery, corporal and capital punishment, indentured servitude, class differences, and social and economic strictures on women. In the midst of this world are two remarkable protagonists, lawyer Ben Ross and the young woman sitting in the court audience, his childhood nemesis, Miss Susanna Smith. 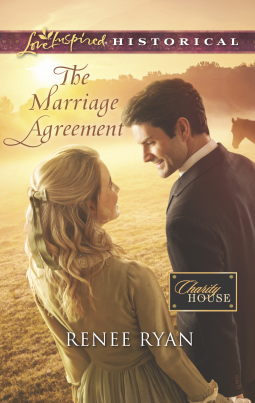 Miss Bates wended a weary way through Renée Ryan’s The Marriage Agreement. Sometimes, the world is “too much with us” and even a romance can’t carry us away from daily worries. 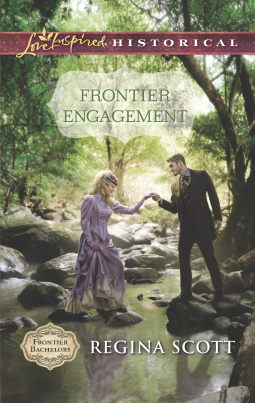 Miss Bates can say with certainty the slow pacing and preciousness of inspirational romance make the immersive reader experience elusive. Ryan’s novel is of that ilk of eye-rolling premises calling for reader tolerance and suspension of chagrin. With a book about food, love, and family, Miss Bates launches her review by eating humble pie. “Never say never” should be Miss B’s mantra regarding romance reading. 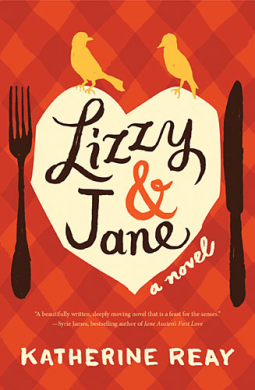 Katherine Reay’s Lizzy and Jane is mild romance; it’s … GASP … women’s fiction, a fictive genre Miss Bates purports to abhor. Indeed, there’s been scorn-heaping. It’s the type of fiction she’s most likely to DNF. She finds it precious and precious becomes boring and boring becomes the worst kind of sentimental. Reay’s novel skirts close to DNF territory: estranged sisters (sibling relationships have never interested Miss B. ), acrimony remaining from their mother’s illness, CANCER, one of the two sisters ill with CANCER herself, confronting the past, each other, and salvaging, or sundering, relationships. It focuses on younger sister, Elizabeth, “Lizzy,” Hughes, 33, moving back to the Pacific Northwest (from New York City where her chef’s career was floundering) to come to terms with people she left behind: retired firefighter dad and especially older sister, Jane. Her journey tries to answer: what is home? What do we owe the people closest to us, particularly those with whom we share strained relations? What is family? From where do we derive meaning and purpose? How do we find God amidst acrimony and failure?